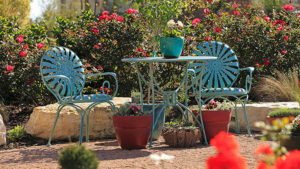 Fruit trees, veggies and herbs are fun and easy to grow in San Antonio! The Garden Center carries only the the best varieties of fruit trees, berries, vegetables and herbs that will do well in our area. At The Garden Center, you'll find all types of citrus, avocados, peaches, apples, figs and more! The best time to shop for fruit is in early spring; we start to get shipments in January! Vegetables and herbs are available spring-fall. 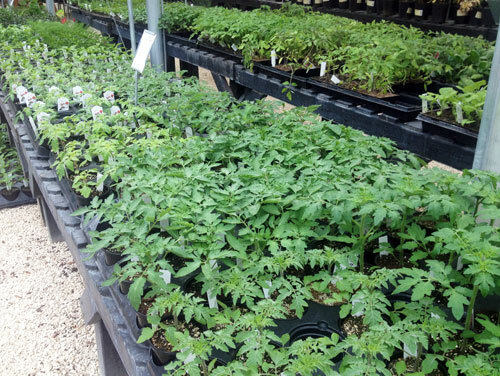 You'll find a huge assortment of tomato varieties, peppers, squash, leafy greens and much more. We also carry organic, heirloom and traditional vegetable seeds for those who want to start from scratch! What the heck are chill hours? 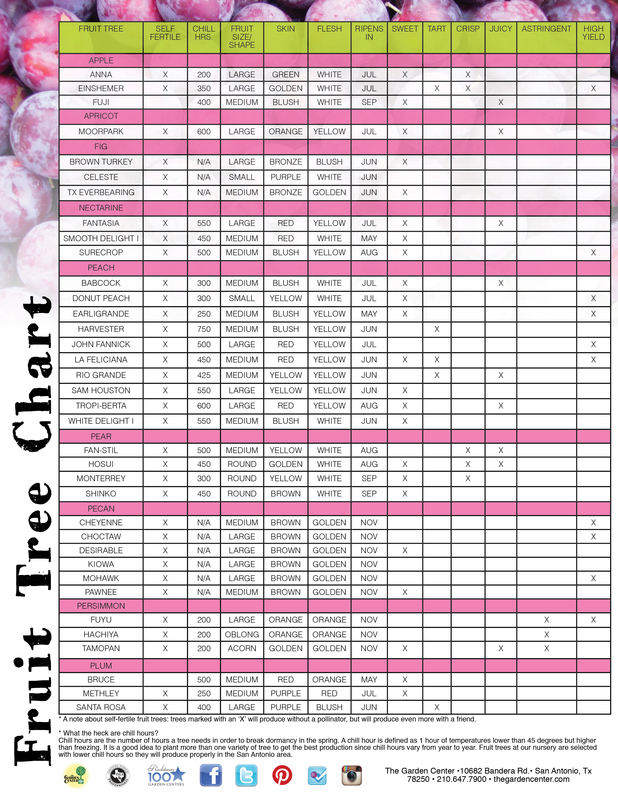 You may have noticed while shopping for fruit trees that some trees require a certain amount of "chill hours". Chill hours are the number of hours a tree needs in order to break dormancy in the spring. A chill hour is defined as 1 hour of temperatures lower than 45 degrees but higher than freezing. It is a good idea to plant more than one variety of tree to get the best production since chill hours vary from year to year. 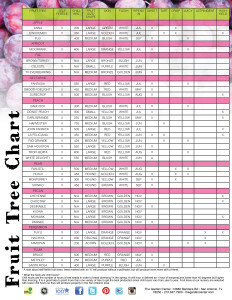 Fruit trees at our nursery are selected with lower chill hours so they will produce properly in the San Antonio area. 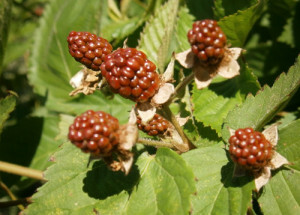 While some fruit trees require a partner to produce fruit, there are many trees that are able to produce fruit on their own. However, any time you plant more than one tree, you will always get a better yield. Some trees that do not require pollinators include citrus, figs and pomegranates. Many peaches are self fertile, as are grapes and blackberries. Pecans technically need pollinators, but there are so many growing in the San Antonio area, that it is not absolutely essential for nut production!